Highlight: Scored a brace on debut for the Wanderers first team in the FFA Cup match against Wellington Phoenix. Highlight: He scored a goal in the A-League, Asian Champions League & FFA Cup in the 2016/17 season. Description: A young striker who made a name for himself after winning the Wanderers Youth League Player of the Year for 2015/16, as well as scoring 5 goals in the Wanderers NPL debut against Spirit FC. His entry to top flight football was a good one, with a decent return of 5 goals in 22 appearances across all competitions in 2016/17. The arrival of Oriol Riera and the good health of Brendon Santalab restricted Scott's first team opportunity in 2017/18, he played just 6 games and failed to score, although he did perform well in the Youth League & NPL 2. In his last year at the club he fell out of favour, did not play a game in the 18/19 season and was released in February 2019. This will prove to be an embarrassing thread for you when it's eventually archived, Goat. The boy has great instincts. He reminds me of Adam Taggart, looks lost except when he's in front of goal. So good to see true happiness in his face after the game. It's something that quickly fades away in the professional world. well its better than Tyson who often lost the goals. He got on the ball a lot more in this game. And if he does as well as taggart did before he moved overseas I'll be ecstatic! The lad has an instinct for getting a shot away. He's almost better when he doesn't have time to think about it. Against esfc he saw the chance open up in front of him and he panicked. Great that he got a goal, I reckon he's going to put his next good chance away now he has that confidence. almost scored a similar goal against City a few weeks ago too. part of me was hoping he fail this week so we see Majok get a run, but part of me is a **** too. lol jk - all of me is a ****. Must be missing Popovic by now. Popa wouldn't be picking him either. Our youngsters are not stepping up. Look at Joey Champness for the Jets.Having a great season to date. Our juniors do not seem to be up to playing senior football at the moment. It's a worry. I don't know if it's the constant changing of the senior playing roster the club has a habit of doing, so, are the youth missing out on getting advice and training from first team players who have "been around" for a few years at a club. I wouldn't be surprised if the club tries to move him on a year early and he'll need to make a huge impact to stay beyond his contract next season if he decided to stay on. For the A-League his finishing is decently instinctive but he's not tall enough to be a aerial target man, he's not strong enough to be a back to goal hold up man and he's not fast enough to be a line breaking striker and there's little to suggest he can be a creative forward who helps make chances for the other attackers. I suspect he'll end up somewhere like Blacktown City in a couple of years. He might do okay in Asia, somewhere like Malaysia or the Philippines. 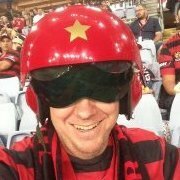 The Western Sydney Wanderers and forward Lachlan Scott have today parted ways by mutual consent. A Wollongong local, Scott started his junior football journey with Balgownie Rangers, playing for the south coast side until U11s when he joined Illawarra. 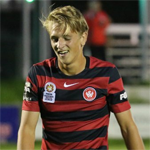 Scott joined the Wanderers for the Foxtel Y-League season in 2015/16 and made an immediate impact, finishing the season as the Red & Black’s equal top scorer. The youngster was promoted to the Hyundai A-League side in 2016/17 and scored on his debut. Scott went on to make 28 appearances across all competitions for the Red & Black, scoring five goals. 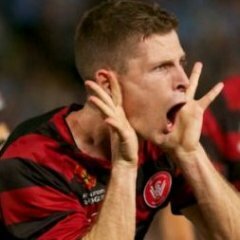 The Western Sydney Wanderers wish Lachlan Scott all the best in his future endeavours. Shame - but he hasn’t progressed from when he first started with us. Surprised it’s taken this long to move him along. yea mate i am very embarrassed we are losing him because he is signing with real madrid right? The vast majority of players from any clubs youth academy will not make it at the level the youth academy's club is at. Saw Lachie Scott dismantle Marconi in a pre-season NPL2 game out at the HQ with Taurus...since then it was a slow, steady decline and fall.